My vehicle has cold ac, big trunk space and larger trunk. I do really like my car. I got it for a great price and at a time when I really needed it. This vehicle gets decent gas mileage and is not bad to ride in. I currently have issues with my battery. Something is causing it to lose power and kill the battery but I cannot seem to find the issue. W have taken the vehicle to many mechanics but still cannot resolve the issue. 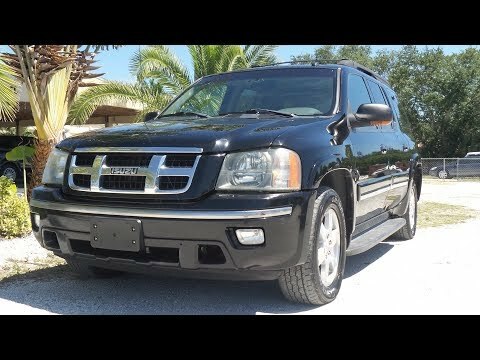 This vehicle is still one of the best I have ever owned and despite this issue I would buy the Isuzu ascender all over again in a heartbeat. I love my car and would not trade it for anything. It has been in the family for a while, and we are still enjoying it. My vehicle has been very reliable and quite accommodating for my needs. Its capacity has allowed others to enjoy its comforts and smooth ride. What I dislike, because of its dark colour it gets dirty quicker. Owners will be provided with a supplement for their Owner's Manual. It describes and shows the location symbols for the child restraint anchors that are located in the vehicle. The manufacturer has reported that owner notification is expected to begin during August 2003. Owners may contact Isuzu at 1-800-255-6727.